There's a good chance that you will run into a hurt or sick wild bird sooner or later. Many of us are kind-hearted, caring individuals who want to help but don't necessarily know what to do. I once came across an injured wild bird and was able to help it, so I am sharing my advice. Place the bird in a small cardboard box lined with paper towels or cloth. Cover the box with a towel or sweatshirt. Place the box in a dark, quiet area. Call a wild bird center or rehabilitator. You can also call the vet. The three most important and immediate provisions for stabilizing injured wildlife are as follows: quiet, darkness, and warmth. Stress and shock are both preventable, but they are common causes of death in the first 24-48 hours. Put the bird into a small cardboard box lined with paper towels or fabric. Do not use fabric with loops like terry cloth, as little toes can become hopelessly tangled. You want the animal to remain fairly still, so the size of the box should be somewhat cozy. Cover the box with a towel or an old sweatshirt (something a little bit heavy). If the box has a lid, like a shoebox, it is fine to use it, as long as there are a few small holes for air. Now, place the box in a quiet location. Again, you want the bird to be able to remain as calm as possible; any chance of healing will depend on it. Total darkness will help the bird stay calm, so keep it in a dark closet, storage room, or extra bathroom. An injured bird will be in shock and, as with humans, will be unable to regulate its body temperature. Keeping it warm is essential. If you have a heating pad, set it on low and place it under half of the box. This way the bird could move on or off the heat source as needed. Do not put the heating pad into the box as this could be too warm. If you have no heating pad, fill a plastic bottle with hot water (not boiling, just hot). Wrap the bottle in a towel and place it next to the bird, inside the box. If the box is too small to accommodate both a bottle and a bird, setting the bottle against one side of the box is the next best thing. Get on the phone or go online and find a licensed wild bird rehabilitator. Many licensed rehabilitators do not list themselves in the phone book, so finding the closest one to you might take a few calls or a little research. Keep in mind that most wildlife rehabilitators are volunteers that are doing this out of the kindness of their hearts. In most cases, it is not a paid position. In fact, the rehabilitator is often footing all of the costs him or herself, so please be kind and appreciative. Also, keep in mind that their license probably does not allow them to display birds, so please don't ask to see the other birds at the facility. You can also call your local veterinarian, Audubon Society, or Humane Society for a list of referrals. If a bird is not flying, there is a reason for it. This reason could be because it is a fledgling. This will likely be the case if it is mid-summer and the bird in question has a short tail and/or looks downy or fluffy. It is normal for a baby bird to leave the nest before it can fly, so the parents are probably nearby and will continue to care for their young for some time. They belong with their parents, so please do not "kidnap" them. If you see a bird on the ground, keep your dogs and cats indoors. Then, watch from a distance for up to two hours. If the parents don't show themselves in that amount of time, you may legitimately have an orphan. The easiest way to catch a bird that is running away is to use a blanket, sheet, or even a sweatshirt. Throw the blanket over the animal to calm it. Then, pick it up with the blanket and put it in a box. I do not recommend handling raptors because they have dangerous talons and beaks. If you find an injured raptor, call a wild bird center or rehabilitator right away. Be warned that large water birds are very strong and might aim for your eyes, so wear sunglasses. Also, be careful with male turkeys. They have spurs on the back of their legs, and they aren't afraid to use them. Do keep the bird as calm as possible in a quiet, dark place. Do not handle the bird any more than the bare minimum. Do keep the animal warm (but not hot). If the bird is suffering from hyperthermia (overheating), this step is not needed. Do not play with the bird, even if it seems "friendly." Shock can make it act unafraid. Do resist the temptation of showing the animal to others. This can be traumatizing. Do not feed a bird that is in shock. Wait 24-48 hours, unless the rehabber tells you otherwise. Do handle it as gently as possible and only when necessary. 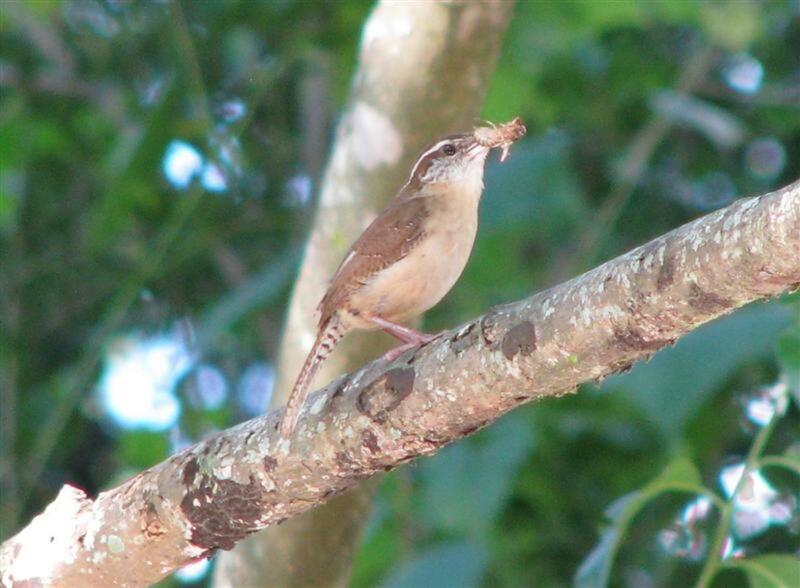 Birds have no diaphragm and, therefore, use their chest muscles to breath. A tight hold around their body can suffocate them. Do not put it in a cage. 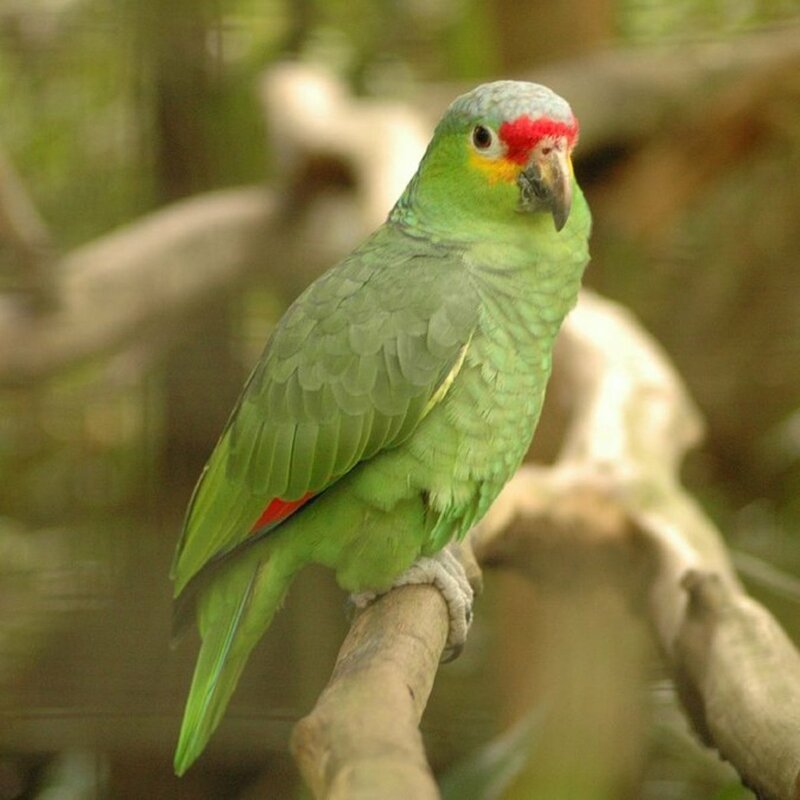 The wire bars can cause damage to the feathers and injure the animal. Use a cardboard box instead. Do provide water, but in an extremely shallow dish, such as an upside-down jar lid. An injured bird can be completely out of kilter. It can drown in even a small amount of water. Never force any liquids into its mouth. It can aspirate liquids and drown or develop pneumonia. Do wash your hands with soap after handling it. Do not try to keep the bird. It is extremely difficult to care for, not to mention, it is illegal in the U.S.
Do call a wildlife rehabilitator as soon as possible! Learn what types of food to give and how often you should feed it. My cat brought in a western kingbird female. I had been enjoying watching her eat my sunflowers these past two days. We were able to catch her and hold her gently. She has an oozing wound at her shoulder which I treated with vetracin (it's supposed to be safe for birds and we used it on our turkey when it got into a tangle with a dog). I put her into a covered cage with some water. She's perching there and resting (I can see her through a hole in the cover). Now I'm wondering how long I should let her rest before releasing her, if I should put some food in there (I put some sunflowers in which she had been eating), and thinking it will probably be difficult to release her safely from the cage... Thanks for hosting this site! why is there never a phone number? A few years ago we found a Cedar Waxwing flopping around on the road in front of our house. We picked it up and saw that the tips of its wings were glued together by a big blob of sap. We carefully removed the sap and cleaned the feather tips with a little baby oil on a cloth. We placed it in a pet crate with some towels and covered it overnight. In the morning it seemed to be ok so we let it go. It flew without any problems. What a beautiful bird! I had never seen one before in person. Thanks so much I looked you up before this happened. I was too late it died right after we gave it a name. Thanks anyways though. Hi Rucha and thank you! This is actually a good page I liked it n its very useful. So awesome Letitia! I am so glad you helped that raven...I really love ravens. They are so intelligent and beautiful! I would definitely read your hub about helping any animal! I sure could have used this last year when I rescued a raven in the middle of the traffic on the Bd St Germain outside my apartment in Paris last year! Don't worry, I got it to a wildlife refuge the same day and it made it through. I think I'll write a hub on rescuing newborn dormice, which I had to do the year before! Keep up the great hubs! Thank you all for your wonderful comments and stories! I love to read everyone's experiences. Keep it coming! Lovely article and extremely helpful! I always find injured birds, my husband affectionately calls me “The Bird Lady”, but sometimes it’s difficult to care for them. Thank you for the great advice. Thank you for the information! I took birds to a rehab center in Phoenix every once in a while (think they took other wild animals as well). Unfortunately, I don't think that most people even know that they exist! Currently have glass french doors and every once in awhile birds fly into them. I've always done as you suggest and put them in a cardboard box for a awhile and thankfully(!) I've always had them fly away happy afterwards! I appreciate this article. Thank You. Wakan Tanka will watch over You. Rescuing the injured is a divine job of service. If you succeed in doing that, you're definitely staying near to God. Great advice for helping and nursing an injured bird. Voted up as useful and awesome. Congratulations on Hub of the Day! Well done. This is an excellent article with lots of great advice. Just one more cautionary tip--be sure to check your area for 'what to do' if you live where bird flu and/or West Nile Virus are a problem. Make the phone calls first, and find out whether or not to even approach the bird to try to help. You may be advised to keep away until the professionals arrive. This is also true if you find a dead bird. Don't touch it until you make those phone calls. I never knew what to do with an injured bird before, so thank-you so much for the information! A co-worker at a previous job I had and I one day found a small bird (in fall, not a baby) just sitting still on the sidewalk of an outdoor walkway between two buildings. We gently moved it to an area next to the sidewalk in an attempt to move it out of harm's way, but just didn't know what to do otherwise. It was looking at us and moving its head, but not its legs or wings. I will certainly keep this in mind for any future situations. It's information like this that needs to get taught at our public schools when we are young as I surely never learned any of this until now. Thanks for the advice. I have not come across an injured bird, but as you say chances are I will. I shall then recall this. Congratulations on H of D.
I never came across an injured bird before, maybe since I live in the city, and everything gets swept up quite frequently here. I will use such great info when that day comes if need be, thanks for providing such useful information to us all. Voted up! This is good to know, sometimes it's easy for well-meaning people to do more harm than good. You've probably saved a few birds today. Great hub, I've never rescued an injured bird, but this is great information I may have to put to use someday. 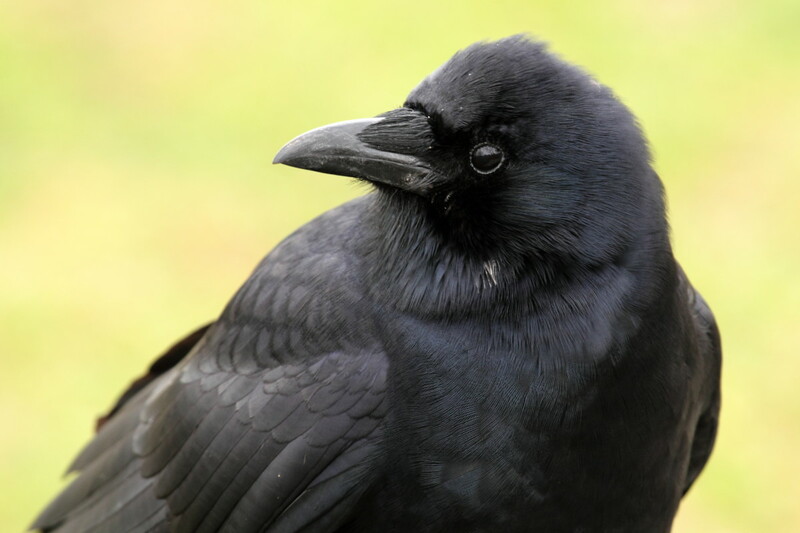 I have a hub about crows and ravens I will link to your hub! Great job! You give sound advice here. My daughter worked for wild life rehab and had encounters with many injured animals including birds. One day on the way home we found an injured baby pelican. She was terrified and flopping around furiously. One of us ran home and got a blanket to wrap her in. Then carefully covered her to calm her. 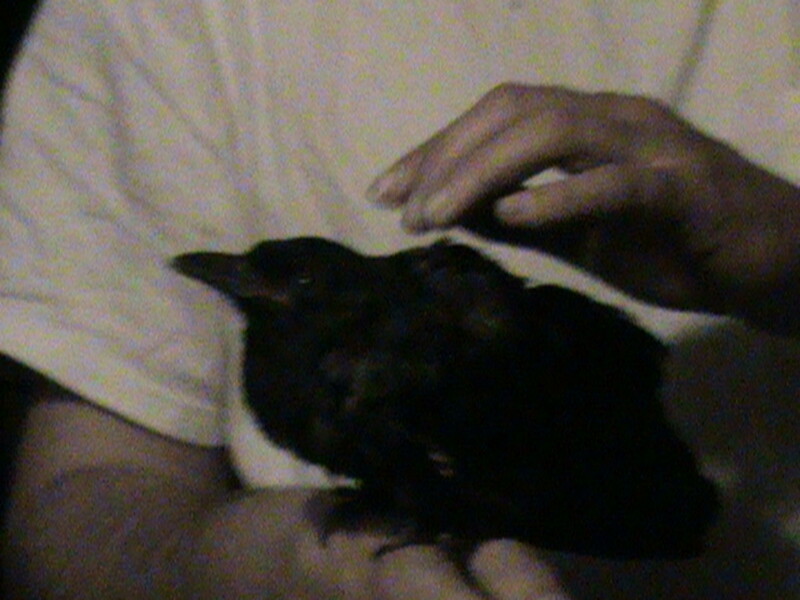 Since she was such a large bird, we called the bird shelter in our area and they came and rescued our fledgling baby. Thank you for sharing this. Great information! 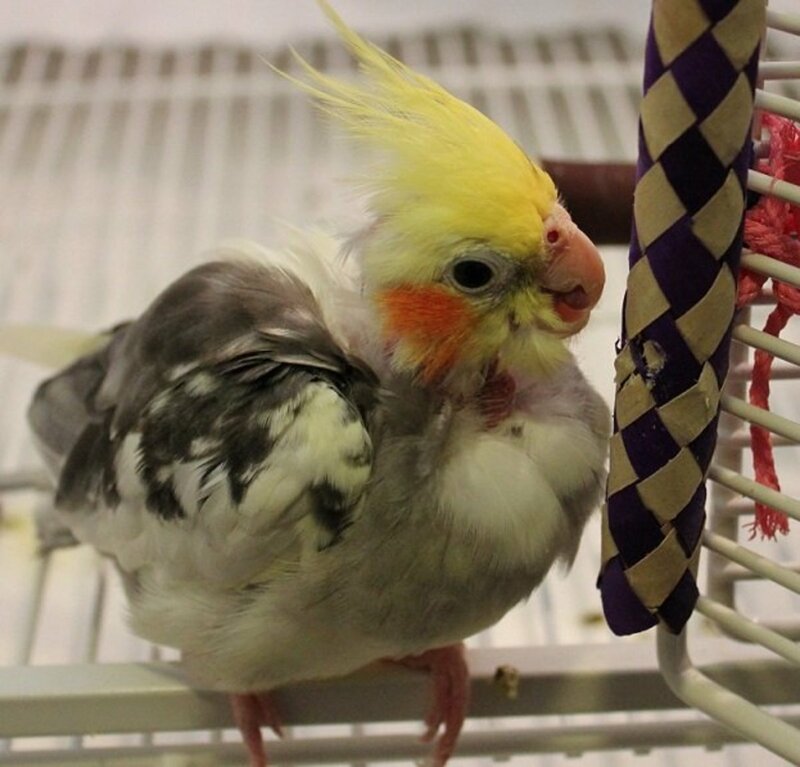 My daughter and I have rescued many injured birds and taken them to the Wildlife Sanctuary in St. Louis. One day, while I was at work, a homeless man found an injured bird on the sidewalk, who had likely flown into the brick building where I worked. He gently held him up to show me outside my window on the world. I quickly made up a box with leaves to lay on. 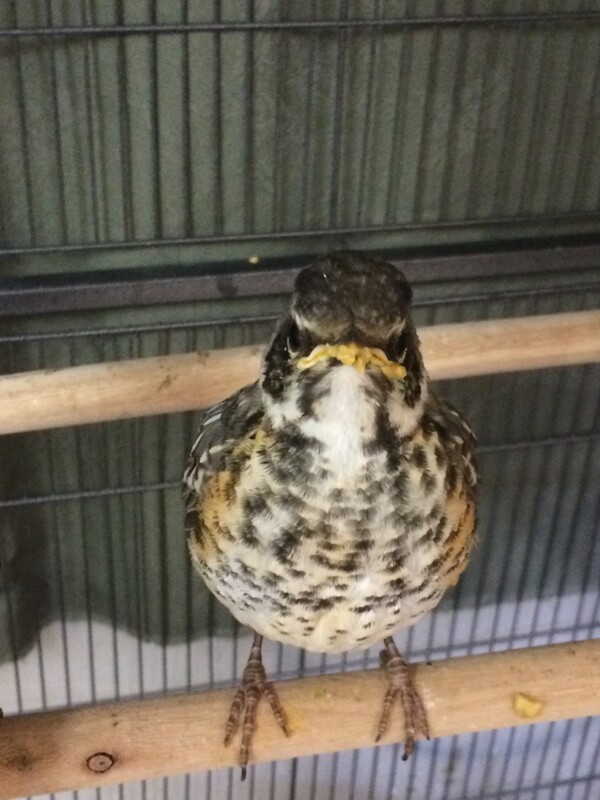 Since I could not leave work to take him to help, I called the courier, who happened to have a woman on staff that used to work at the sanctuary, and after I convinced the courier service, they did not have to worry about liability; that the bird was sure to die without help, they quickly arrived and transported the bird to the sanctuary. I paid for the trip and it was the best $18 I've spent. I got a call from the sanctuary and they told me the bird was a rare woodpecker, not usually seen in our locale, and he recovered fully. I never saw the homeless man again that cared enough to make a difference that this story had a happy ending. Thank you for a very informative hub about wild birds. Yes, we have met the statistics once and rescued an injured bird, most likely injured by our cat:( Ironically, we used the small cat carrier to transport the bird to the wildlife rescue center. As you mentioned, these centers are usually volunteer type operations, so please consider a donation when you leave! Great tips about the raptors! I really love this information. I always call the city when I find an injured bird uptown, but it's such a big hassle, and they kind of act like you're wasting their time. They used to be nicer about it. Also, what about buildings with huge glass windows? Those can be a cause of injuries and even fatalities for birds. I think they should have a hawk decal or something. Great advice! We once rescued a robin who lived with us for about a month. The most important thing is not to give liquids. So many people do and the birds aspirate and die almost instantly. I have found soaking a tiny piece of bread in water and offering to the bird (after the first 24 hours) is a good way to get the bird started. Voted up and useful. Thanks for SHARING. This is wonderful. 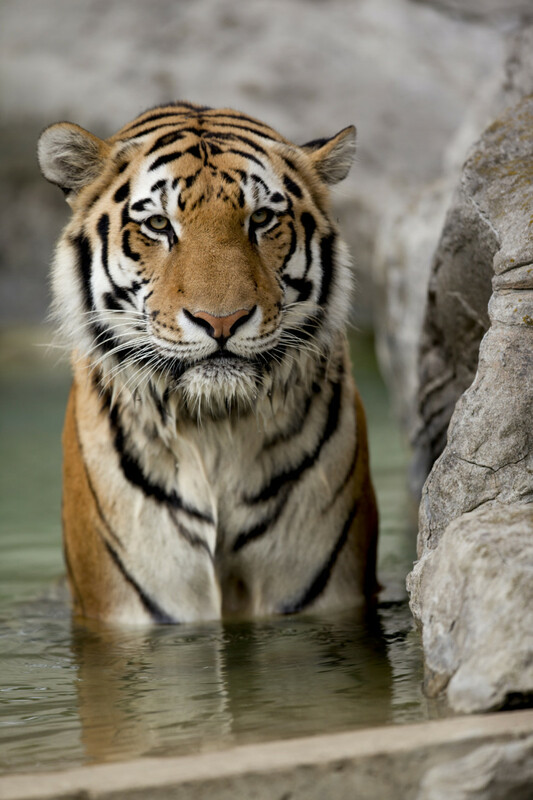 Its important to help out wounded animals and this gives us a better idea as of what to do and what not to do. Thank you. Very sound advice. My husband and I have had many injured or young birds that we have cared for. In England, we had a jackdaw fall down the chimney from the nest they had built in there. Here in Brazil, we have had, a smooth billed Ani, a conure, and are currently raising a young owl that fell out of a coconut tree. These are fed and watered until they are ready to fly away. This is great hub! And Congrats for being selected as hub of the day! Really it's a great and i admire it to read to everyone. I also shared it to my friends. It is necessary to take some measurable precautions if you find a bird in such circumstances. Your Do's And Do Not's Part i like most and really beautifully explained in decent manner. Voted up! This is a fantastic Hub! I once found a bird on my front porch in obvious need of help. My neighbor is a "vet" and told us to leave it alone to die in peace without even looking at it. This Hub makes me regret not doing anything even more. Next time, I'll know what to do though. Thank you! Sally and John, you are obviously saints! Enjoyed your hub and gave it "thumbs up"
Awesome advice. Having been through a few injured birds, I know that calm, quiet, warmth in a confined space, and no hands-on are the best keys for success in the early moments. Great tip about not using any loopy fabric like terry cloth. 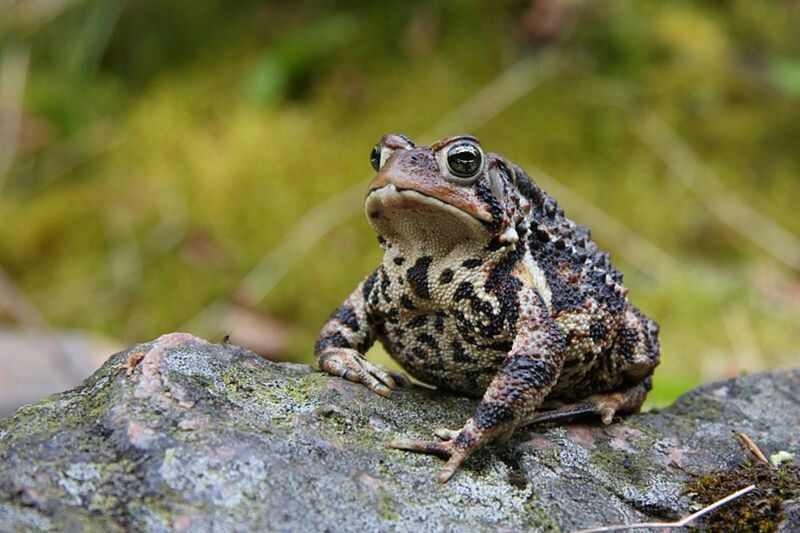 I learned the phone number of my local wildlife rehabber the hard way, as in on the spot in a moment of crisis. But folks can be prepared ahead of time if they do a little research and know the person they need to call when a bird's in need. The Do's and Do Not's are critical information. Thanks Tom and happy holidays! Hi Mrs. Menagerie, great tips and advice to help an injured bird if you happen to find one .This information will help us help those beautiful injured birds, thanks . What excellent advice! I, too, have come across an injured bird more than once, and the old shoebox-in-a-closet method really does do wonders! Great tip about water, though- I had not done that and feel kind of bad about it. I'm so glad you've shared this good advice! I have taken many a bird to the rehab center. They get them well and then if they can let them go. We once came home and found our 13 year old son in our kitchen with ana great horned owl on his arm. He had found it in a trap. We have a facility here that cares for injured birds. They get pelicans with fish twine around them, and other injuries. Nice info. Hub. What a compassionate hub. Love your "The Do's and Do Not's of Helping an Injured Bird" chart. 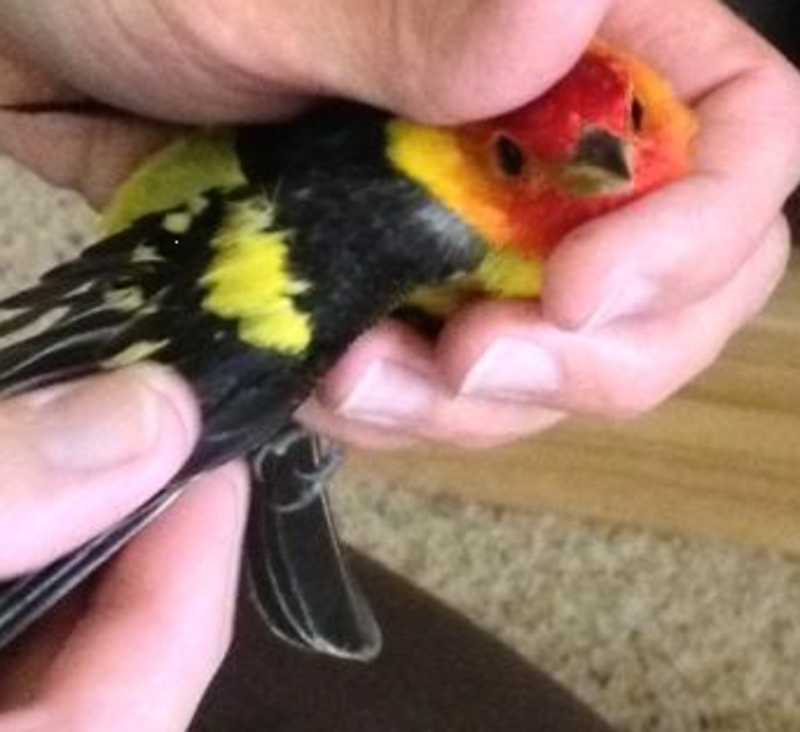 I adore birds and it would be so hard to watch one get hurt, but with your tips for helping a bird through its injuries, I would feel like I had a chance at success. Unique topic and awesome advice.